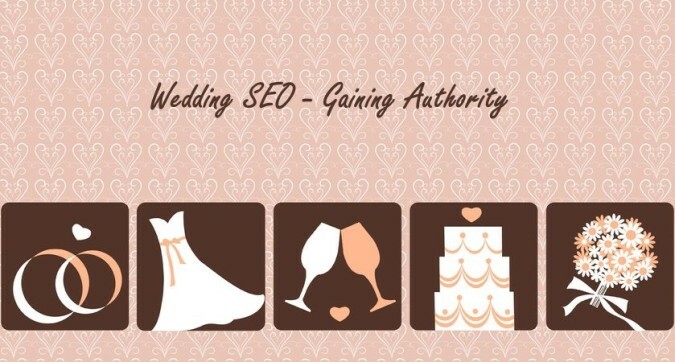 In this 3rd part of our series on SEO for your wedding business we’re going to look at the things you need to do to increase your website authority. 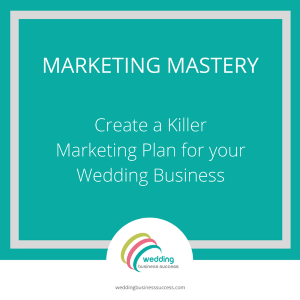 In Part 2 we looked at making your website relevant. Website authority is all about getting Google to recognize your site as a good place to send people. When someone searches, Google uses both relevance and authority to decide which pages go in which position. Unless you have very little competition this part is essential to get you ranking in a good position. Now I’m not going to lie – this bit is tough. It takes time, perseverance and a lot of hard work. There are lots of factors involved, but one of the main ways Google decides on the authority of your website is by looking at the websites that link to yours. So this part of search optimization is often known as link building. Link building has become associated with discredited SEO practices which Google is fighting against. So these days it’s more about earning links. You want to aim for a variety of links from different site – but generally sites which are good quality and relevant for your business. This usually means wedding blogs and wedding sites but can also be small business sites and local news sites. Real wedding blog submissions – these are usually done by photographers but they will usually credit the other suppliers. Your photos in a mood board. Everyone loves a good mood board and bloggers and wedding sites are always looking for good quality photos to include. Make sure your photos are top notch and shared on Pinterest and other social media. Write original and informative articles on your own blog – and publicise them. It’s not enough to simply publish things on your blog – you need to let people know about them. This is where social media comes in very handy. Also make sure you have social sharing buttons on your pages to make it easy for people to share them. Do something newsworthy. Local newspapers and magazines are always on the lookout for good stories. If you’ve done something worthwhile like raising money for charity let them know. You’ll see a bit of a theme coming through here – basically a great deal of SEO success is actually down to PR and blowing your own trumpet. Letting people know what you do and finding ways to get publicity for your business. Remember that for people to promote you, there has to be something in it for them. It’s not enough to say “Here’s my new product, please promote it”. Use social media and networking meetings to build relationships and then look for opportunities that will get you links. SEO has changed dramatically in the last few years and many things that worked in the past are now either useless – or worse, can damage your site’s rankings. Don’t pay websites to link to you for SEO purposes. Google has stated that if you are paying (e.g blog advertising), then the link should be flagged to tell them that they shouldn’t count this link – you’ll see this called a “NoFollow” link. Don’t go to one of those sites where people offer to get you 1000 backlinks for $5. Exchanging links with other business simply cancels out any positive effect, but won’t do you much harm. Links from social media sites are mostly disregarded by Google for SEO, so don’t think you can just post links on Facebook, Google+ and Twitter and expect them to make much difference. However, social sharing increases the chances someone will see your content and link to it, so this is important. The same goes for commenting on blogs – it won’t boost your website ranking but could help build a relationship with the blogger and make it more likely your photos/content will be used. Growing your website authority takes time but if you do all these things steadily and consistently then your authority will grow and you will start climbing those rankings.